In a world where thinness is sometimes associated with eating disorders and neglect, and obesity with health risks, it’s natural to be concerned about what and how much your child is eating. Mothers often worry that their toddlers don’t eat enough. Toddlers can be remarkably picky eaters, whether or not they still breastfeed. They may refuse to eat foods they have eaten happily in the past or eat everything in sight one day and nothing the next. Sometimes they may seem to eat even less than they did when they were younger. 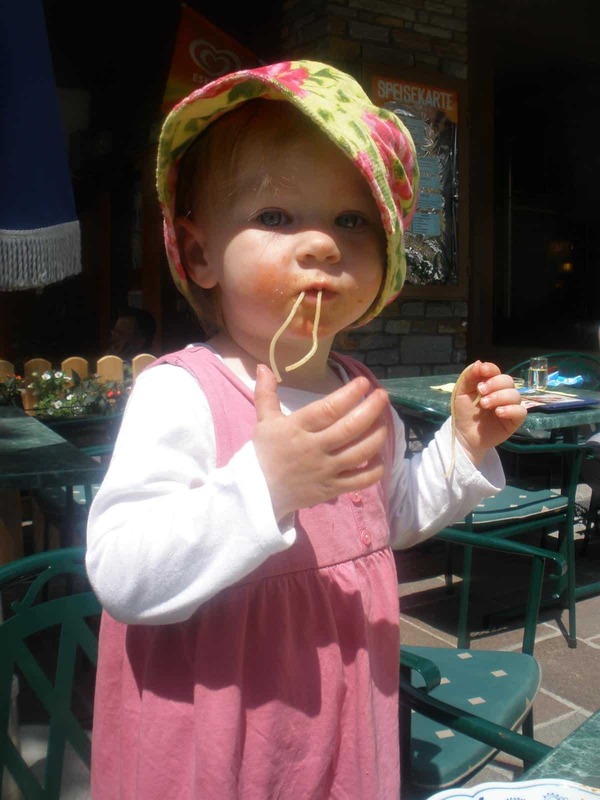 Toddlers can also be unadventurous in their food preferences, opting for familiar favourites. It’s easy to assume that a child who has a limited diet or is not eating much will not grow. But it’s not the case that children grow because they are eating—they eat because they are growing. If food is available and a child is not ill then he will eat until his body tells him he has had enough. This natural appetite control mechanism helps prevent overeating and obesity. Even babies who have taken to solid foods quickly often start to eat less at around 12 months. This can be worrying for parents since we naturally expect our babies to keep eating more as they get bigger. In fact, a child may not need substantially more calories at 12 months or even at two years than he did at six or nine months. This is because his optimal growth rate is normally fastest in the first 12 months. After that, it slows down. If your toddler is still taking plenty of breastmilk he may not need very much extra at all in the way of solid foods. It’s easy to forget how small a child’s stomach is, especially when serving pre-packaged foods that come in adult portions such as yoghurt or snacks. Even commercial baby foods come in generous portions. Thinking in child-sized handfuls can help you offer an appropriate portion for his size. A toddler portion could be 1⁄4 of a small banana, 15ml (1 tablespoon) of yoghurt or less than half a slice of bread. If you’re convinced your child really does ‘live on air’ try keeping a note of everything he eats for a week. Include nursing, snacks and drinks and remember to think in ‘toddler portions’. If he really ate nothing he would be obviously losing weight. The World Health Organization growth charts, based on breastfed babies growing in optimal conditions, are now being adopted in the UK (see Further Reading). Growth charts have been created by combining data from a large sample of healthy babies. The smoothed centile lines don’t represent how an individual baby grows. In reality, growth is uneven and does not continuously follow the chart lines. This is why it’s not helpful to plot weight too often. Genes influence height and weight as well as how the body absorbs and uses food. It doesn’t matter which centile your child’s height and weight are following if he is well and if he continues to grow in height and gain weight over several months. When assessing whether your toddler is thriving consider developmental milestones in addition to weight, height and head circumference. If he has recently had an infection, his growth may have faltered, but it’s likely to catch up soon after recovery.If your child is unwell, his growth pattern is markedly different from the charts, or if he is losing weight, seek advice from your GP. “My child rejects pasta, bread and vegetables but he’ll happily gobble up chocolate cake.” Try not to fall into the trap of offering lots of alternatives just to be sure he has at least eaten something. Most of us can find room for a sweet treat even if we’re not really hungry and this leaves us even less hungry for the next meal! The best way to avoid this happening is to limit puddings and sweet snacks or offer small portions as a nutritious part of the meal—such as fruit crumbles or rice pudding. Simply not buying processed sweet or salty snacks and cakes will improve the whole family’s health. Everyone loves and hates different foods so of course your child will have his own individual preferences. For example, some children prefer dry foods; others love sauces. However, tastes change as time passes, so keep offering new foods in a casual way. The more familiar a food is, the more likely he is to try it. And be aware too that he may adore some foods that you hate! Every person needs the freedom to choose how much to eat, regardless of age. Nobody wants to be forced to clear the plate as many of us were expected to do as children. 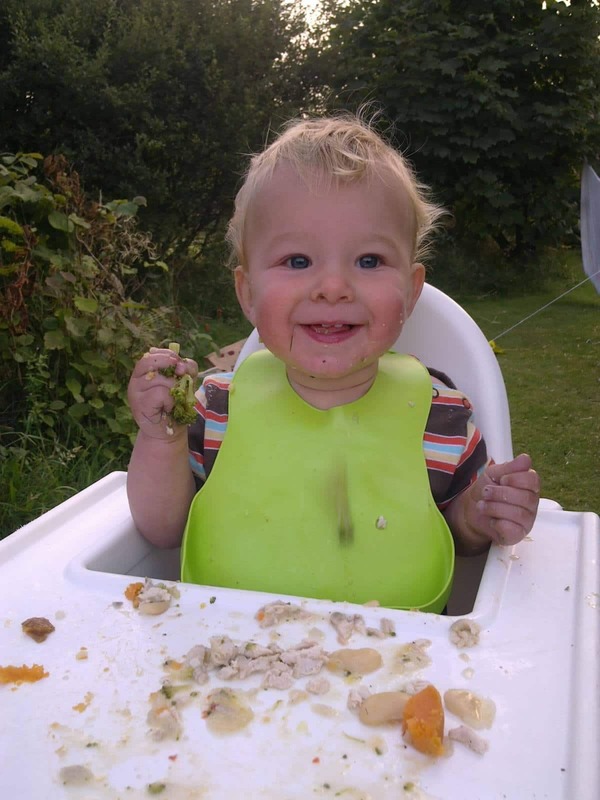 It can be tempting to watch your child’s every mouthful and to spoon food in just to satisfy yourself he has eaten what you think he needs, but there is little to be gained by making mealtimes a power struggle. Whilst it can sometimes be wise to ask if a child has had enough to eat, never force or bribe him to eat more. Learning to ignore his body’s signals of fullness can put him at risk of obesity in the future. Try to relax and enjoy your own meal instead—perhaps we would all be healthier if we ate only until we were no longer hungry. Mealtimes are an important part of family life. What’s more, they are the perfect opportunity for your toddler to see everyone enjoying sharing food and conversation and trying new dishes. Make eating and drinking a pleasant social time together. Sit at the table with your toddler for drinks and snacks and have something yourself. Children love to imitate others. • Allow your baby or toddler to feed himself without pressure. Many picky eaters will eat more if they can feed themselves. This can also be helpful if you think your child overeats as it can slow down the process, giving his brain the chance to register signals of fullness. • Offer your toddler foods the family is eating or foods you have to hand. Don’t invest lots of time and effort cooking something separately for him. He needs to eat because he is hungry, not to please you. be overwhelming and unhelpful for a young child. • Avoid foods packaged specifically for children—they are expensive, may come in overly large portions and some are packed with sugar, salt, fat and other unnecessary ingredients. Limit juices and sugary drinks, which fill toddlers up without giving a wide range of nutrients. Offer water instead. • Offer small portions—he can always have more. If your child has snacked throughout the day he may not want to sit down and eat a full dinner. Young children need regular snacks and drinks but make sure those on offer are a balance of nutritious ones and bear this in mind when judging mealtime portion size. • Accept it when he says he has had enough and let him leave the table. • Try keeping foods separate from one another. Some children reject mixed foods if there is one taste or texture they don’t like. • Try involving children in food preparation, but be aware that some children may refuse to eat certain foods when they know what goes into them. Although you may want to offer your toddler solid foods before nursing, there’s no reason to stop breastfeeding altogether. Both mothers and children find the closeness and connection of breastfeeding an important reason for carrying on, and for taking weaning gradually. Breastmilk continues to be a nutritious, calorie dense food—as well as a drink. And it still helps protect him from infections, just as it did when he was tiny. You may wonder if your night-waking toddler is hungry. Night-time can be an opportunity to catch up on nursing, away from distractions, especially if your days are busy or you are separated during the day. You could encourage more daytime nursing instead or offer a drink in a cup when he wakes a night. If he believes nursing is the only way to fall asleep you can gently encourage other sleep associations. Or perhaps he needs the security of being close to mum when he wakes in the dark? Many mothers still find nursing a little one back to sleep much easier than getting up and pacing the floor at night. It’s also quite normal for non-nursing toddlers to wake in the night needing mum. It’s impossible simply to say ‘breastfeeding prevents obesity’. How a baby is breastfed and then introduced to solids may be as important, if not more so, than just receiving breastmilk. Babies who are allowed control over their own feeding patterns will consume only as much breastmilk as they need. They take in just the right amount of calories and set in place appropriate ‘appetite control’. The baby who is left to show signs of readiness for solid food and is able to choose from a range of healthy family foods what he eats and how much may be learning to control his appetite in a way that will help prevent obesity in later life. 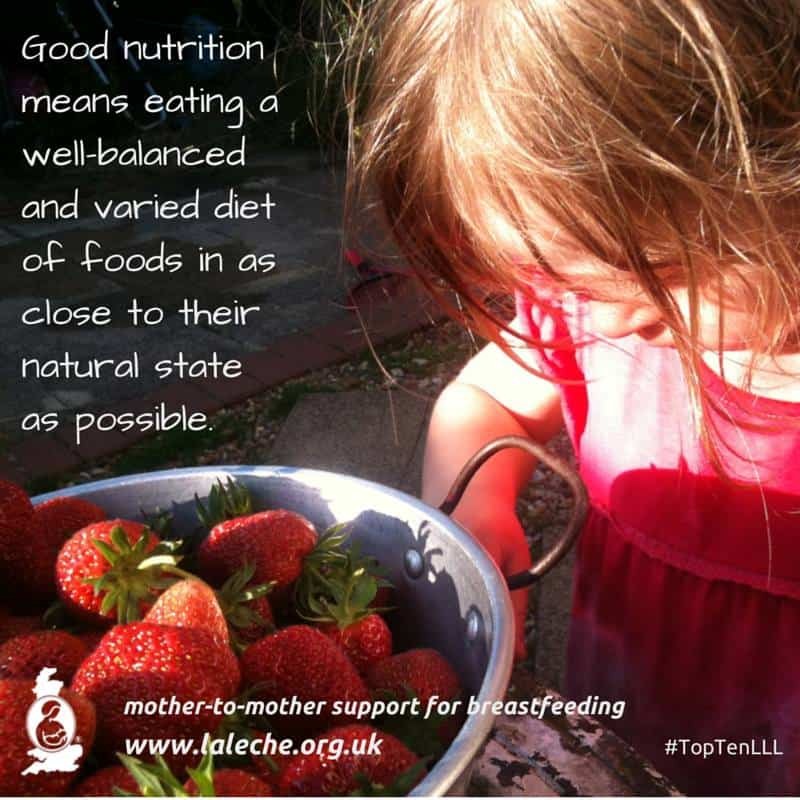 Breastfed babies are often very good at moderating their own intake of food and drink to get what they need. Over the years researchers have found that, given the opportunity to select from a range of nutritious foods, toddlers balance their own intake, but over a period of weeks rather than days. Does he need cows’ milk? You may be told to give your toddler the equivalent of a pint of full fat cows’ milk a day to meet his calcium needs. Many nursing toddlers take this amount of breastmilk without their mothers realising it! You can offer cows’ milk and other dairy products but don’t be surprised if he’s already had enough milk. The iron in breastmilk is in a form that’s easy to absorb. But babies and children over six months should be offered (though not forced to eat) additional foods that are naturally rich in iron to ensure they get enough. The World Health Organization strongly recommends exclusive breastfeeding for the first six months of life. At six months, other foods should complement breastfeeding for up to two years or more. Things are always changing where toddlers are concerned, so today’s fussy eater may quite easily become tomorrow’s gourmet. 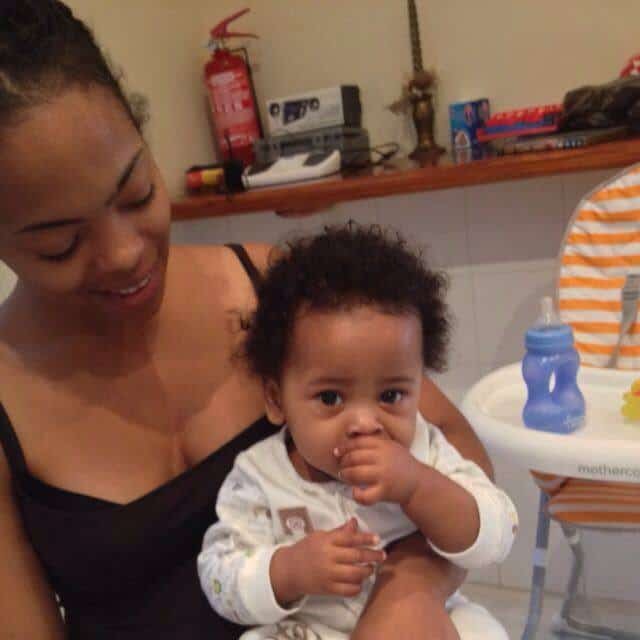 And once he becomes a teenager, he could be eating you out of house and home! Just as you trusted your breastfed baby to show you he had taken enough milk, you can trust that the toddler who is well, active and growing is getting what he needs, however little he eats. If you have concerns about your child’s eating, you may find it helpful to speak to an LLL Leader or go to an LLL meeting where you can meet other mothers who have been in your situation. Written by Sue Upstone & mothers of LLLGB. Nighttime Parenting. Sears, W. Plume, 2008. 1. (Obesity) Early life nutrition and lifelong health, British Medical Association Board of Science, 2009. 2. Butte, NF. Energy requirements of infants. Public Health Nutr 2005 Oct; 8(7A): 953-67. 3. Iron Metabolism in Human Milk-Fed Infants: LLLI Independent Study Module #11, Griffin, I. MD and Abrams, S. MD, Schaumburg, IL: LLLI, 2008. 4. Birch, LL. et al. The variability of young children’s energy intake. N Engl J Med 1991 Jan 24; 324(4): 232-5.